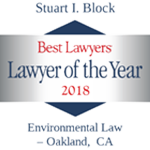 Stice & Block LLP is a boutique law firm based in Oakland, California that focuses on real estate, land use and environmental law. 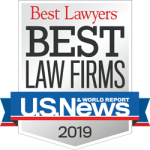 The firm combines its principals’ in-house and large firm experience to bring a sophisticated, business-oriented approach to its clients’ legal matters. Stice & Block attorneys have played, and continue to play, leading roles in structuring and delivering some of California’s largest and most complex development projects. Drawing on both in-house expertise and large-firm legal experience the attorneys at Stice & Block LLP have the proven ability to practically and creatively take real estate projects through all phases: from due diligence and acquisition through entitlement, development, leasing and disposition, including all aspects of venture formation, risk management and project finance. Beyond our technical experience, our attorneys bring people skills, negotiation expertise, facilitation abilities and solution-oriented thinking to help find cost-effective resolutions to complex issues and to keep simple issues simple. We help our clients strategize, negotiate and innovate to achieve their goals. We bring people to the table and build relationships across the table to help get the job done and the deal closed.